The electric vehicle isn't only better for environmental protection because of the lack of exhaust gases and direct CO2 emission, but because in the whole process of its production, usage and upkeeping, it stays far ahead from the traditional vehicle in the race for the environment. Not only does it affect climate change, causes acid rain and eutrophication that reduces the essential oxygen in waters and contributes to the overall destruction of eco-systems, it also has a direct impact on the human being and the human health. 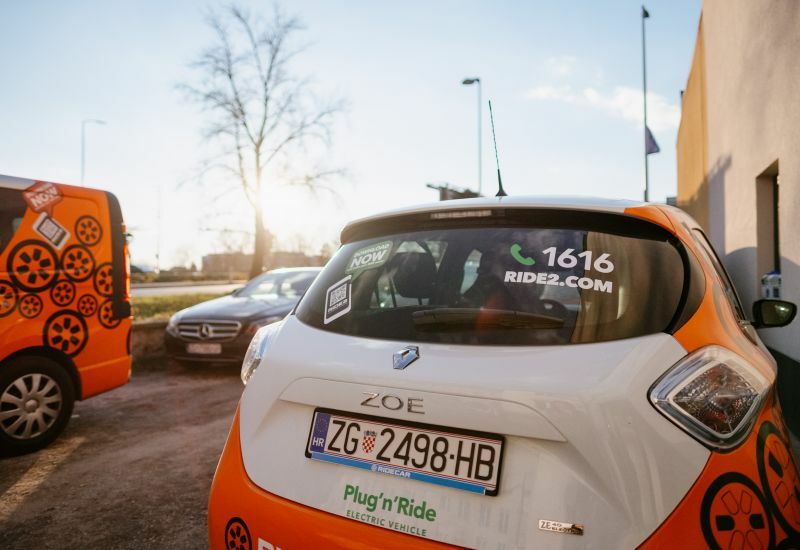 By studying the data from 2017., The European Climate Foundation concluded that owners of electric vehicles are already contributing to environmental protection and to the quality of life on our planet and therefore to its future as well. It is a known fact that air pollution in modern countries is still mostly produced by means of traffic. As a hero who could save the day steps forward the electric vehicle which – in comparison to the fossil fuel vehicle – in its “lifetime“ generates half the amount of toxic gas. Furthermore, the electric vehicle isn't only better for environmental protection because of the lack of exhaust gases and direct CO2 emission, but because in the whole process of its production, usage and upkeeping, it stays far ahead from the traditional vehicle in the race for the environment. In Croatia, where there is a large share of hydropower plants and electricity procurement is subjected to minimum emission, the total amount of CO2 produced from an electric vehicle is only 28,4% from the amount that is produced by a diesel model of the same category. With an average mileage throughout the year, an electric vehicle will create up to 900 kilograms less toxic gases in opposition to a similar diesel model. It is anticipated that by 2040., 55% of the market will be taken over by electric vehicles. We want to be part of the team that plays for our Planet Earth and environmental protection hence part of our fleet is constituted from electric vehicles. RIDE2 offers you a service for your satisfaction while also satisfying the ecological cause and fighting for environmental protection. Electric vehicles are day by day becoming a more wanted means of transportation so charging stations for these types of vehicles are developing as well. Slovenia, although small, holds great pride in its rich and unique tradition. Croatia offers a myriad of opportunities for an unforgettable vacation. Register of Companies, MB: 080853290, Trade Court in Zagreb, OIB: 98120677479, Zagrebačka Bank: IBAN HR1323600001102364784. Management: Željko Matanović, Share capital: 500.000,00kn.